An Emirati surfer who braved the cold Irish winter waters was left feeling worse for wear after wiping out from a massive 25 foot wave. Pro surfer Mo Rahma told RT about the chilling moment. “Once I slammed my face on the wave I just kept sliding down the face. I was praying that I would slow down and just go under before the lip smashes me” Rahma told RT. The surfer was taking on Mullaghmore, a big wave spot on Ireland’s west coast, on Monday. “I had my eyes open to see when is my last chance to take a breathe ... but I kept going down and everytime I would hit the water I would feel like I was being punched by a boxer,” Rahma said. Luckily he managed to escape uninjured, even managing to get back on his board and catch another wave thanks to the adrenaline rush. 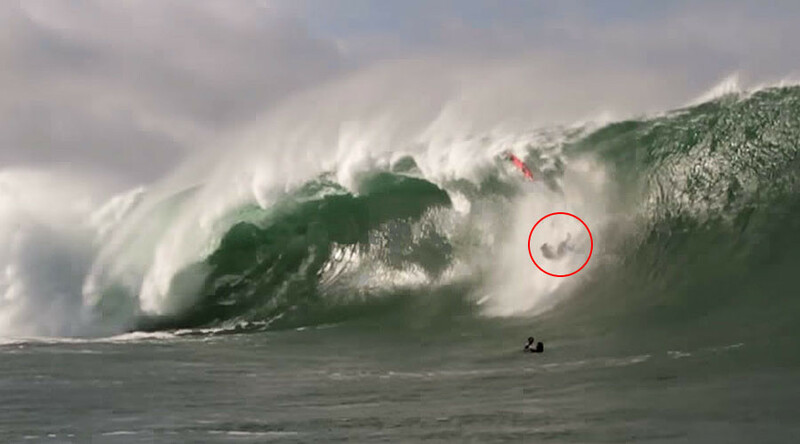 His wave has been entered into the ‘Wipeout of the Year’ awards, where the winning surfer receives $3,000. Not bad, assuming they haven’t been too badly injured.